Pathways, both metaphorically and literally, have been on my mind this year. Economic conditions have forced many friends to begin to new journeys. 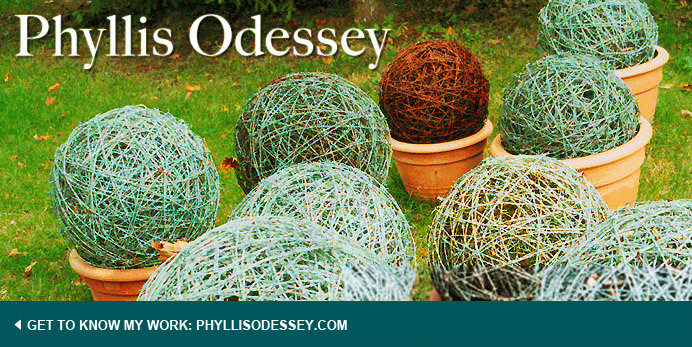 Finding an entry point for a new career, lead me to think about the ways we enter a garden. One of the best entryways, I know of, is at a friend’s house in southern Vermont. 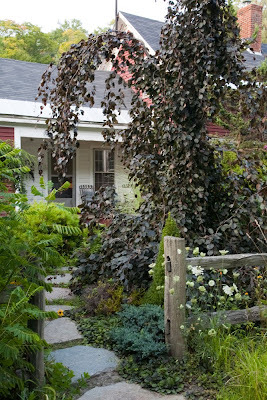 Ron and Jaci live in an 18th century farmhouse close to a busy road in Windham County, Vermont. A few years ago, Jaci decided to remake the entry to their house. and accent plants. This is a small garden with a big WOW factor. It looks good in all four seasons. 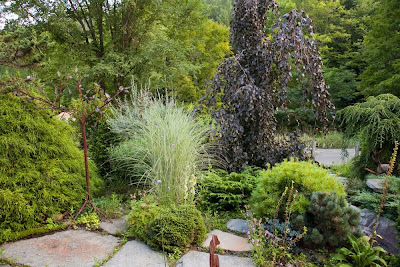 The garden relies on texture and foliage and changes in size, but its very subtle. On first glance, you think, “It’s so simple. There isn’t much going on.” You need to take another look and another and another, to get it. It’s far from simple. Dwarf conifers, heathers and grasses together are something we have seen before. The complexity is in the thought process. The garden is a study in how the skilled gardener/artist can put together a powerful combination of plants with a limited palette. 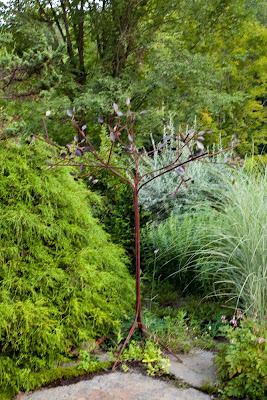 The garden’s centerpiece is one of the most magnificent Fagus sylvatica 'Purple Fountain' you will ever see. I’ve often thought that this beech acts as its own traffic light for the road. It’s a showstopper and you can’t help but slow down as you pass it. It’s a ballet dancer in the landscape. It flutters in the slightest breeze, whereas the wrought iron tree near the door is as still as concrete. This "other" tree stands like a sentry in the entryway, guiding you to the door. (see photo at top of page). This contrast is repeated in the choice of plants (see plant list below)...not only do you have a variety of conifers, but the use of calluna vulgaris is especially interesting. Jaci just wrote to me "Fall heather and russian cypress colors are starting to show. I love the heathers that turn bright red and yellow in winter!" Jacis garden is a pathway into interesting gardening. She loved winter, snow and ice.